Researchers in the U.K have developed a vegetable called super broccoli designed to fight heart disease. Not to be outdone, researchers in America have developed a way to stuff an Oreo inside another Oreo. 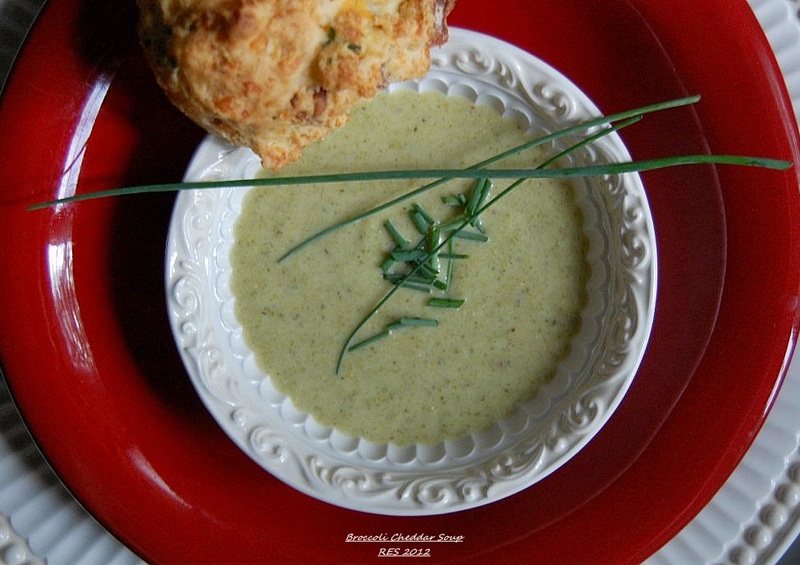 Taking a break from the heat and grilling, soup and sandwich night was a bowl of broccoli cheddar soup and some fresh bacon cheddar and chive biscuits. ½ cup (1 stick) chilled unsalted butter, cut into ½ inch cubes. Position rack just above center of the oven and preheat to 425. Line a heavy large baking sheet with parchment paper. Cook the bacon in a heavy large skillet over medium heat until crisp and brown. (I used a cast iron pan). Transfer to paper towel to drain, and then chop coarsely. Combine the flour, baking powder, baking soda and salt in a processor. Blend 5 seconds. (I’m sure if you don’t have a food processor, a pasty blender would work just as well) Add the butter cubes and blend until coarse meal forms, about 30 seconds. Transfer the flour mixture to a large bowl and add the cheddar cheese, fresh chives and chopped bacon. Toss to blend. Gradually add the buttermilk, stirring to moisten evenly. Batter will be sticky! Using a lightly floured hand, drop a generous ½ cup of batter for each biscuit onto a prepared baking sheet, spacing them about 2 inches apart. 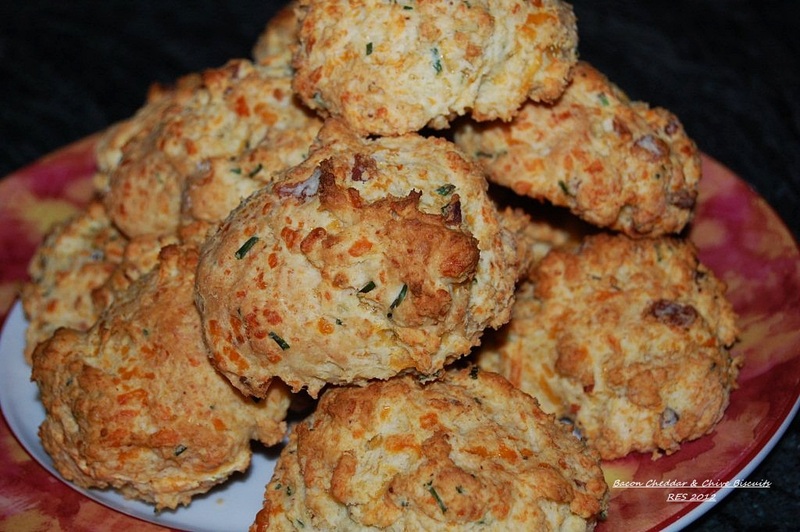 Bake biscuits until golden brown and tester inserted into the center comes out clean, 18 to 20 minutes. Let cool 10 minutes. Serve biscuits warm or at room temperature.